"I started my home veterinary service to serve the pets I love and their people. Through the years I have become an advocate for Home Euthanasia, providing pets and their families with a peaceful, comfortable passing in familiar surroundings." Quality of Life Scale helps consider the factors that affect your pet’s happiness and sense of well-being. Please call (608) 347-1897 for assistance. Phone consultations welcome. Journeys Home offers in home euthanasia within an hour radius of Madison and serves Dane, Rock, Iowa, Jefferson, Sauk, Green, and Columbia counties. All of our doctors are graduates of the UW Veterinary School. 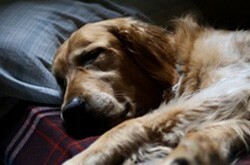 We are dedicated to making your pet’s last moments peaceful and comfortable. Dr. Katie has been providing in-home euthanasia longer than any other veterinarian in the Madison area. Increase awareness of home euthanasia as a peaceful alternative to in-clinic euthanasia. Prevent pet suffering by assisting families in their decision to euthanize before pain and discomfort significantly impact the pet’s quality of life, and before the care of the pet becomes burdensome or impossible for the family to manage. 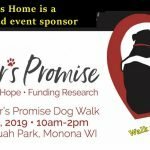 Support families through the grief process by sponsoring events (Remembering Our Pets in September, and Czar’s Promise In May) that offer a community gathering of people who have loved and lost a pet. These events are ways of honoring our pet’s memories and celebrating the joy they bring to our lives. Please call (608) 347-1897 for assistance. Phone consultations welcome. For Dane County we offer online estimate. E-mail journeyspet@gmail.com.